Miriam O’Neal has published poems and/or reviews in AGNI, Marlboro Review, Louisiana Literature, Birmingham Review, The Guidebook, previously in Ragazine.CC, and elsewhere. 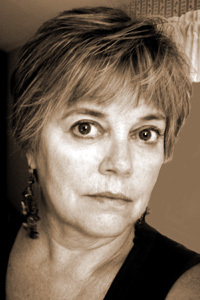 Her translation of Italian poet, Alda Merini earned her a Beginning Translator’s Fellowship from the American Literary Translators Association (ALTA) in 2007. Her manuscript, We Start With What We’re Given is currently looking for a home.